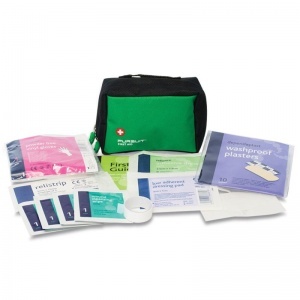 Configured to meet the needs of families and individuals who enjoy leisurely outdoor pursuits such as camping, caravanning, mountain biking and walking, the Adventurer First Aid Kit is available in three sizes to cope with various situations and elements of risk. Featuring tough ripstop fabric and waterproof zippers, the durable pursuit bags will be sure to keep your first aid contents safe and dry. 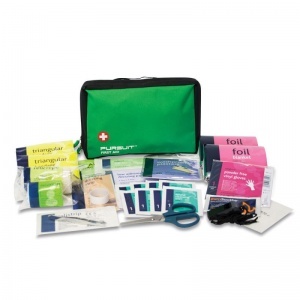 This kit is catered to those who enjoy being in the great outdoors and need a lightweight but comprehensive kit that will enable them to stay well prepared in the event of an injury. 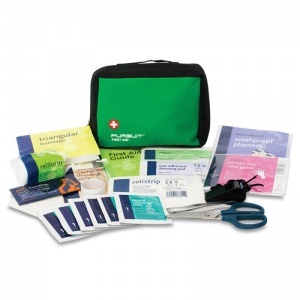 When you have the Adventurer Kit on hand, you'll always feel safe in knowing that you'll be able to handle any incidents safely. Available in three different sizes depending on the needs of the user, each bag features a belt loop to easily secure onto your person, and fabric stoppers at each side of the openings, preventing anything from falling out when opening. Please see the table below for more information on sizing and contents. The Adventurer First Aid Kit is usually dispatched via First Class Royal Mail and delivery should be within 1 to 3 working days.